These days, it seems like there are as many court cases involving cyclists than there are riders on the streets. 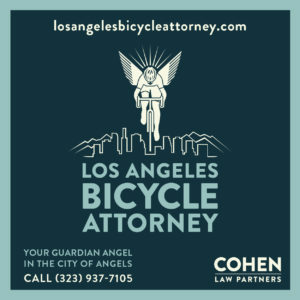 Fortunately, cyclist/attorney Dj Wheels has done his usual great job of keeping us up to date with the latest legal proceedings — including charges against the under-aged, allegedly intoxicated driver who ran down who hit Adam Rybicki head on, and Thursday’s sentencing for Marco Antonio Valencia, convicted in the hit-and-run DUI death of Joseph Novotny. Editor’s Note: While Dj Wheels provided updates on these cases, any commentary or information beyond the actual status of the cases are mine. So blame me, not him. 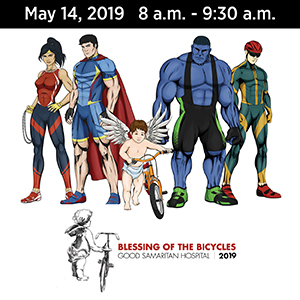 Jaclyn Andrea Garcia: Charges were filed May 19th at the Torrance Courthouse for the DUI collision that critically injured cyclist Adam Rybicki this past April. The Supervising Judge recused all the judges there from hearing the case, with no public explanation for his actions; however, rumor has it that Garcia’s mother is a court reporter in Torrance, which would explain the recusal. Bird also informed the court on the record that his client has voluntarily surrendered her driver’s license, entered into a three-month alcohol program, voluntarily attended 18 Alcoholics Anonymous meetings, and has begun electronic alcohol monitoring with the SCRAM device made famous by Hollywood’s favorite outlaw. Too bad it’s just a little too late. Had Garcia sobered up a few months earlier, Adam Rybicki might not be in a coma right now, the victim of a 20-year old woman still drunk and behind the wheel at 7:15 in the morning. And you can bet that none of the actions Garcia took in surrendering her license or entering rehab were her idea; it was no doubt ordered by her attorney in an attempt to show remorse and get his client released with nothing more than a slap on the wrist. After all, it’s worked for any number of Hollywood celebrities, whose first stop after hitting the tabloids is usually a stint in luxury rehab. And by all accounts, Garcia’s high-priced attorney knows what he’s doing. Maybe if Dr. Thompson’s attorney had ordered him straight into rehab, he might be a free man today. Let’s hope that the court takes this case seriously, and doesn’t let yet another driver buy her way out of taking responsibility. 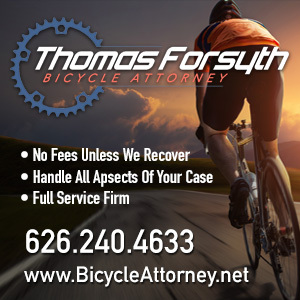 Dr. Christopher Thompson: The date for oral arguments has been continued upon the court’s own motion in the appeal of Dr. Thompson’s conviction for intentionally injuring two cyclists in Mandeville Canyon by slamming on his brakes in front of them. The new date is now 6/29/11. Marco Antonio Valencia: Valenica was convicted last month in the hit-and run DUI death of cyclist Joseph Novotny. The sentencing hearing is scheduled for today (Thursday) at the San Fernando Court; he faces up to 24 year to life in prison. Shawn Fields: Fields is charged with the hit-and-run DUI death of 17-year old cyclist Danny Marin in Pacoima last October. Fields reportedly told investigators that he thought he might have hit something, because he remembered seeing sparkly dust flying over him — from the windshield shattered by Marin’s body. Pretrial/Trial Setting Conference is scheduled for 6/22. Patrick Roraff & Brett Morin: Roraff and Morin are charged with causing the death of rising pro cyclist Jorge Alvarado in April of last year. The two were allegedly street racing when Roraff lost control and slammed into Alvarado, who was riding on the opposite shoulder. Pretrial conference is scheduled for 7/7. Stephanie Drew Segal: Segal is charged with the hit-and-run DUI death of cyclist James Laing in Agoura last year (notice a theme here?). She allegedly plowed into Laing after leaving a local wine tasting room, and entered into a rehab facility after her arrest. Preliminary setting is scheduled for 6/28; Wheels notes that the docket says the DA has been ordered to have victims present, which is unusual for this type of hearing. 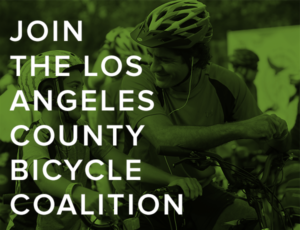 Renato Demartino: Demartino is charged with the hit-and-run death of 22-year old cyclist Marco Acuapan, who died in April, four months after he was allegedly hit by Demartino’s car while riding in a bike lane in Tustin. A pretrial conference scheduled for 6/1. Danae Marie Miller: Miller is charged with the death of world-class triathlete Amine Britel; she was allegedly drunk and texting when she rear-ended Britel, who was riding in a marked bike lane. Pretrial conference scheduled for 7/15. Captain John David Hines: Hines, a Long Beach Fire Captain, is accused of plowing into cyclist Jeffrey Gordon, then fleeing the scene, despite legal, and professional, obligations to stop and render aid. He had allegedly been drinking for hours in a local bar before getting behind the wheel, and had a BAC of .24 at the time of his arrest — three times the legal limit. And once again, he reportedly checked into rehab right after his arrest. Pretrial conference scheduled for 6/17. Satnam Singh: Singh is charged with killing 20-year old college student Nick Haverland in yet another hit-and-run DUI — this time, in a hit-and-run rampage involving three separate collisions in a matter of minutes that left five people injured and Haverland dead. Pretrial conference scheduled for 6/14; Singh remains in custody with the Ventura County Sheriff.